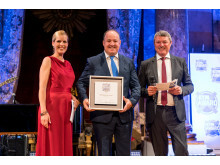 from left: Moderator Alexandra von Lingen, Ralf Merkelbach (BPW) and Paul Göttl (ETM publishing house) at the awards ceremony. Wiehl/Ludwigsburg, 22.06.2017 --- BPW has retained its status as the best brand for trailer axles. 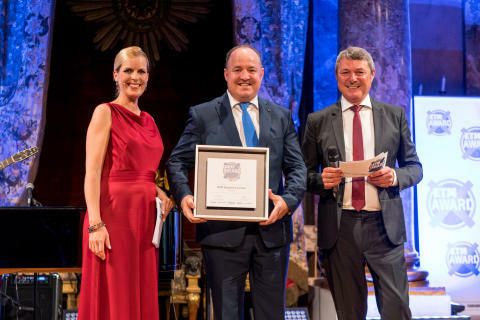 Winners of the award are selected by the readers of three trade journals, namely FERNFAHRER, lastauto omnibus and trans aktuell. BPW was especially delighted to accept the accolade for the 11th time in succession. The best brand award is acknowledged as one of the most coveted prizes in the industry because all the judges are experienced industry professionals. 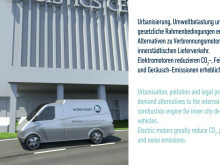 At the recent transport logistic fair in Munich, BPW exhibited an electric axle drive for the urban environment. 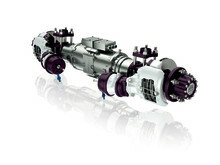 Axles also have a crucial role to play in the future of refrigerated transport. 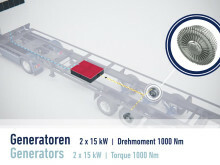 BPW is currently testing running gear that eliminates customary exhaust gas and noise emissions by generating electricity to power a refrigeration unit when the vehicle’s brakes are applied. Among German SMEs, no company can claim to have more loyal employees than BPW Bergische Achsen KG. 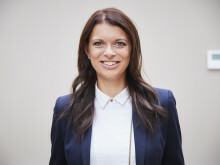 In the latest round of the independent and anonymised TOP JOB survey, the family business’s employees give their employer top marks for communication, development and prospects. 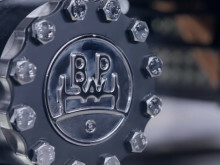 Compared with their counterparts in other companies, the employees of BPW are especially loyal. 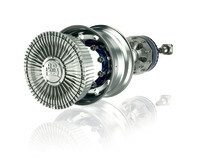 eTransport is BPW's electric drive axle for urban transport.